Spiraeas are small deciduous plants that explode with tiny blossoms in spring and summer. Considered one of the easiest flowering plants to grow, these are prized for their sheer number of blooms. 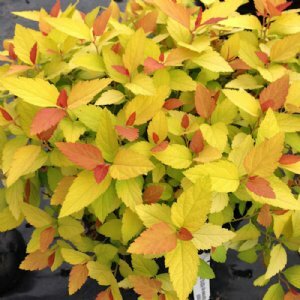 An incredible show starts in early spring with bright red foliage, turning to bright yellow and electric orange before finishing in a burst of purple flowers. 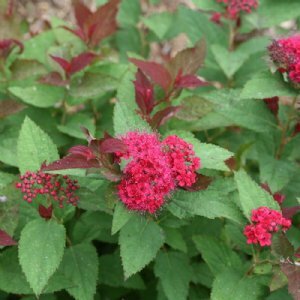 This landscape staple will impress you with blooms not stop, all season long.